An urban network of jogging trails that connects sports facilities. The body wants what it wants. We live in an age where exercise is no longer a necessity in our daily lives. Fuel and electricity carry us around cities and within buildings; food and goods are sourced on the internet from our sofas. Yet still, society displays a strong need for sport. In Shibuya, the busy, overcrowded commercial centre of Tokyo, sports facilities such as gyms and futsal pitches are located in urban buildings and on their rooftops. 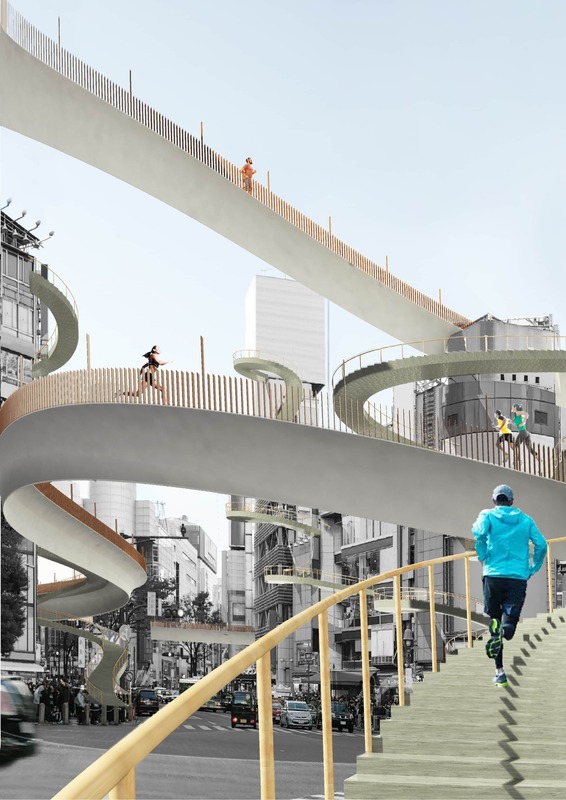 Here, we propose “IUNGO”, the Laten word for a connector, an urban network of jogging trails that connect existing sports facilities in the city. Stretching above, around and through buildings, it allows runners and gym-goers to experience the city in an entirely new perspective. 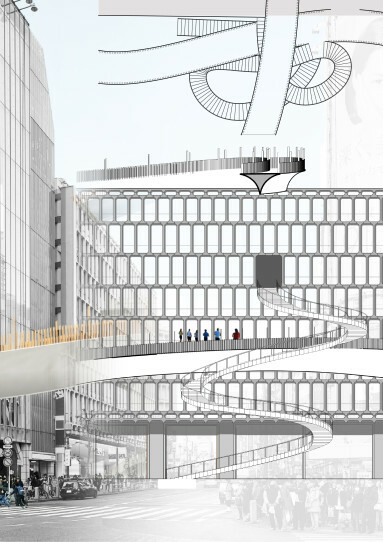 IUNGO also offers a solution to the problems of urbanity. Added circulation reduces pedestrian congestion, while buildings are reinforced with lateral resistance and emergency exits for earthquakes and other hazards. 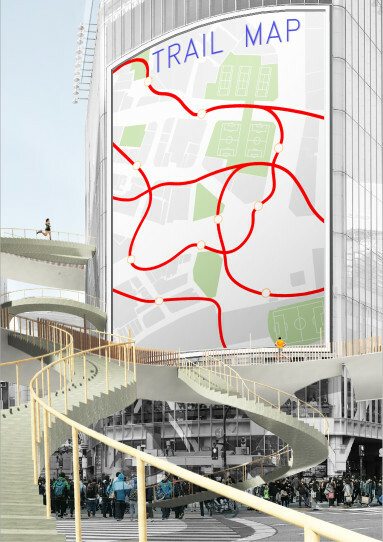 By stripping away the rooftop billboards and re-planting them along the trail, the chaotic city scenery becomes unified. With IUNGO we envision a city that has become one large sporting field, more vibrant and resilient than ever.